Hadrat Ali (R.A.) was born some thirty years after the birth of the Holy Prophet (Sallallahu ‘alaiha wa Salam). He belonged the most respectable family of Quraish, the Banu Hashim (i.e. Hashmites). His father Abu Talib was the real uncle of the Holy Prophet (Sallallahu ‘alaihi we Salaam) who brought him up after the death of the Holy Prophet’s grandfather. Ali’s mother was Fatimah bint Asad, who belonged to Banu Hashim. Hadrat Ali’s patronymic name was “Abul Hasan”. 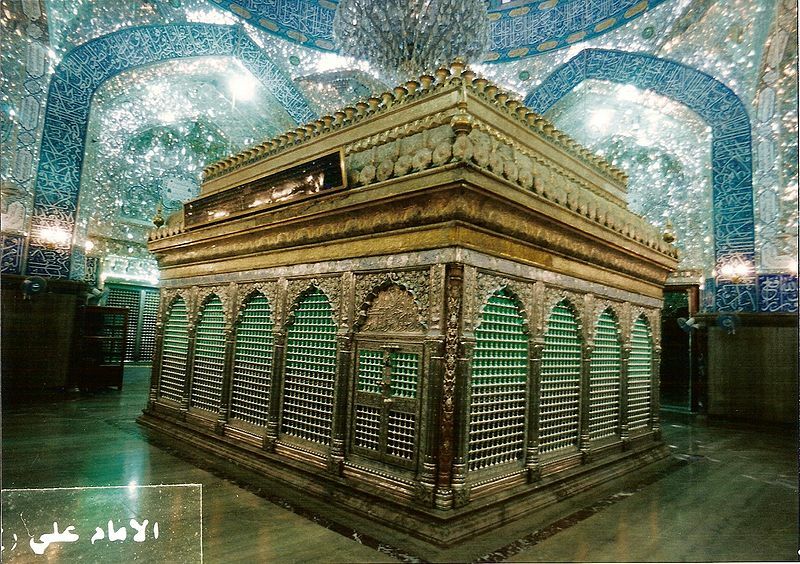 The Holy Prophet gave him another name, “Abu Turab” which was most liked by Hadrat Ali. The Holy Prophet (Sallallahu ‘alaihi wa Salaam) took Ali in his childhood from his father, Abu Talib, and brought up him like his own son. When the Holy Prophet (Sallallahu ‘alaihi we Salaam) started revelations Hadrat Ali (R.A.) was about ten years old. The Holy Prophet disclosed his mission before Ali and he accepted it immediately, thus he became the first youth to enter the folds of Islam. When the Holy Prophet started to preach openly, he invited all of his family members to a feast and announced his mission before them. Nobody listened to him, but young Ali stood up and said. “Though my eyes are sore, my legs are thin and I am the youngest of all those present here yet I will stand by you, 0 Messenger of Allah.” Hearing this all the leaders of Quraish laughed but Ali proved his words to be true after supporting the Holy Prophet in his mission from the beginning till the end. The Holy Prophet (Sallallahu ‘alaihi we Salaam) loved him very much. The night when the Holy Prophet was migrating to Medina, his house was surrounded by the bloodthirsty tribesmen, who had plotted to assassinate him. They were ready to kill any person who came out of the house. In such a situation, the Holy Prophet (Sallallahu ‘alaihi we Sallam) asked Hadrat Ali (R.A.) to sleep in his bed. He followed the command gladly and immediately jumped in the bed. Although the Meccans did not accept his mission, they considered the Holy Prophet the most trustworthy man of Mecca and continued keeping their trusts (cash and gold etc.) with him. It was Ali (R.A.) to whom the Holy Prophet gave the deposits to return to the owners, when he was leaving Mecca for Medina. Ali (R.A.) migrated to Medina after returning the deposits. Hadrat Ali (R.A.) was very close to the Holy Prophet, and the closeness was changed to a permanent relationship when he married his most beloved daughter, Fatimah (R.A.) to Ali (R.A.). Hadrat Ali (R.A.) also had the distinguished honour that the progeny of the Holy Prophet continued through Hadrat Ali’s sons from Fatimah (R.A.) namely Hadrat Hasan and Husain (R.A.). The two children were the most beloved of the Holy Prophet (Sallallahu ‘alaihi wa Sallam). Hadrat Ali (R.A.) was a very brave man. He participated in almost all the battles against the non-believers during the time of the Holy Prophet (Sallallahu ‘alaihi we Salaam). The stories of his bravery are famous in history. In the first battle of Islam at Badr, he was holding the flag of Islamic army. When three famous warriors of Quraish challenged the Muslims, according to Arab tradition, Hadrat Ali (R. A. ) along with Hadrat Hamzah and Abu Ubaidah (R.A.) accepted the challenge. He killed his opponent, Walid only with one thrust of his sword and cut him in two pieces. Then he helped Hadrat Abu Ubaidah (R.A.) to kill the next Quraishi warrior. In the battle of Uhud when Hadrat Mus’ab bin ‘Umair, the bearer of the Islamic standard, was martyred, it was Hadrat Ali (R.A.) who held it up. Seeing this one of the non-believers, Abu Sa’d challenged him. Hadrat Ali attacked him and he fell down on the ground naked. Ali (R.A.) felt pity on him and left him in that condition. In the battle of the Trench, all-Arabia fame warrior, ‘Abdwood challenged the Muslims after jumping on his horse across the trench. Nobody dared to accept his challenge except Ali. The Holy Prophet (Sallallahu alaihi we Salaam) warned Ali about ‘Abdwood but Ali insisted on going and fighting with him. Then the Holy Prophet (Sallallahu ‘alaihi wa Sallam) gave him his famous sword “Dhulfiqar” and put a turban on his head before he went to fight with ‘Abdwood. A few minutes later people saw ‘Abdwood’s head was cut off from his body by Ali. Because of his bravely Hadrat Ali was popularly called “Asadullah”(The Lion of Allah). Following the advice of the Holy Prophet Hadrat Ali invited the Jews towards Islam. Instead of accepting the Right Path they sent their commander Marhab, the great warrior of Arabia and one of the bravest men of his time. He challenged Hadrat Ali to fight. Ali (R.A.) accepted the challenge and slew him in one attack. His famous sword cut Marhab’s body into two pieces. He showed great bravery in each and every battle he fought and earned fame. He was counted as one of the great warriors of Arabia. Ali (R.A.) was not only a great warrior but a great scholar as well. The Holy Prophet (Sallallahu ‘alaihi we Salaam) said about him, I am the city of knowledge and Ali is its gate.” He was one of the great jurists among the Companions. The Holy Prophet appointed him as the Qadi (Judge) of Yemen during his life time. He was a master of Arabic and his writings were as effective as his speech. More about his scholarly services to Islam would be mentioned at the end. In 9 A.H., the first Hajj of Islam took place. Hadrat Abu Bakr (R.A.) was appointed as the leader of the Hajj group. 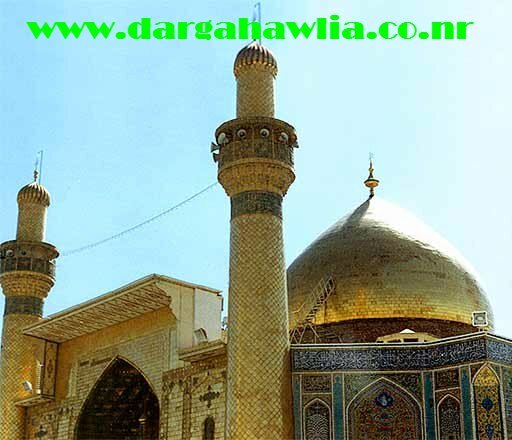 After he left Medina revelation came to the Holy Prophet (Chapter IX. few verses in the beginning of the chapter) according to which the treaty with the non-believers had to be dissolved and they were given four month’s notice. The announcement was to be made on the great day of Hajj. The Holy Prophet (Sallallahu alaihi we Salaam) asked Hadrat Ali to carry the message of Allah on his behalf. He gave Hadrat Ali (R.A.) his own she-camel, Qaswa on which Hadrat Ali rode and went to Mecca to read out the message before the crowd on the occasion of Hajj. There are so many virtues and services of Ali (R.A.) that it is difficult to mention them all in this short book. On many occasions the Holy Prophet (Sallallahu ‘alaihi wa Sallam) had prayed for him. When he sent Ali to Yemen in Ramadan 10 A.H. he blessed Ali (R.A.) with the following prayer: “0 Allah put truth on his tongue, and enlighten his heart with the light of guidance.” Then he himself put turban on his head and gave the black standard. The death of the Holy Prophet (Sallallahu ‘alaihi we Salaam) was a great shock to Hadrat Ali (R.A.). He had attended him day and night during his illness, and after his death he gave bath to the Holy Corpse and enshrouded it.